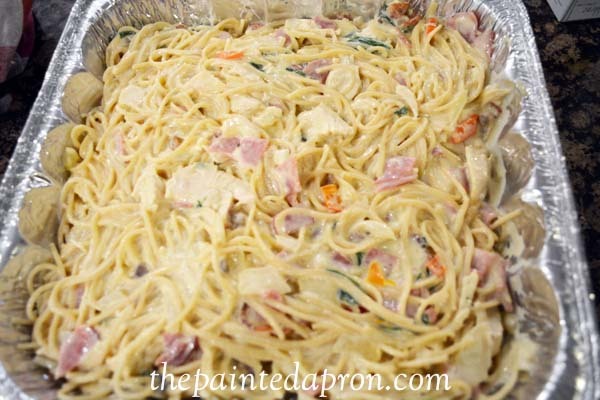 This recipe has the same main ingredients as traditional chicken cordon bleu, plus a creamy sauce, and pasta instead of breading. 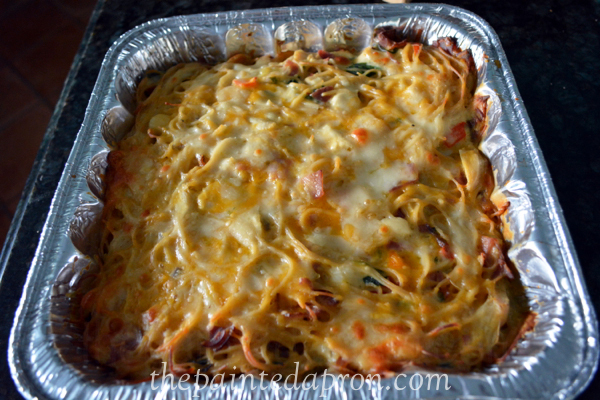 Cover and refrigerate for up to 36 hours. Bake at 350 for 45-60 minutes until heated through and bubbling. 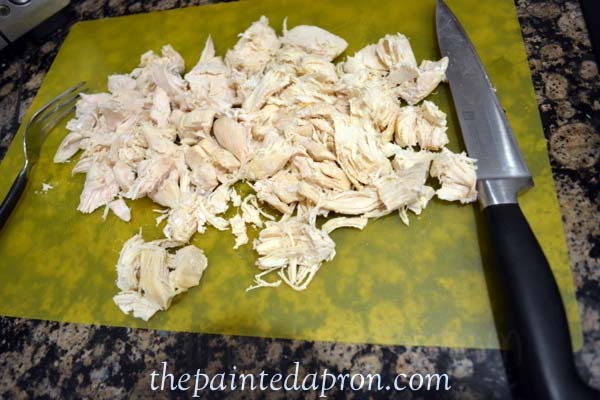 Place chicken in a 3 qt saucepan with water to cover. 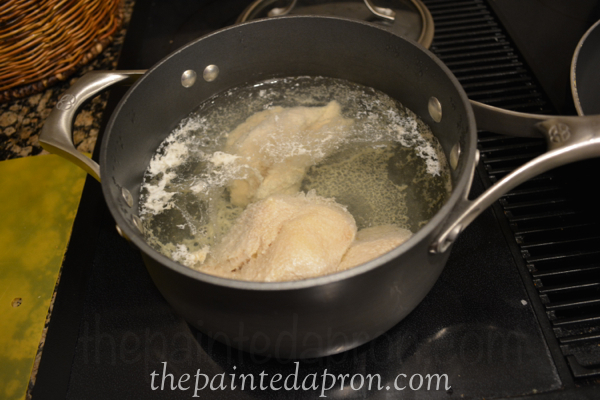 Cover pan and poach chicken on medium low heat for 60-90 minutes. Remove chicken and drain, reserving broth. 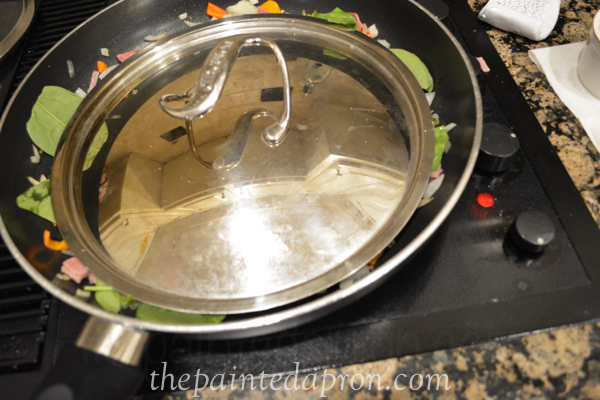 Increase heat under pan to high and add 1 tsp salt. 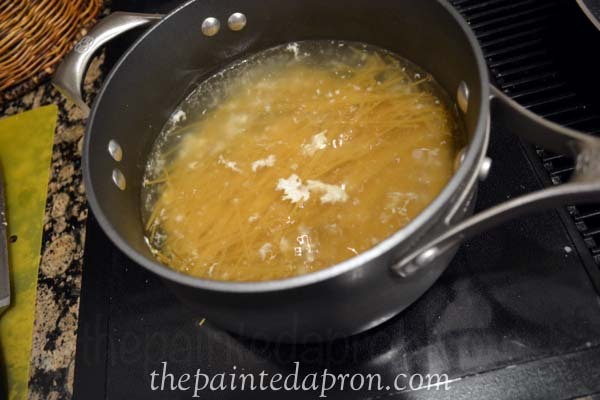 When broth boils, add spaghetti and cook until just done. Drain pasta. 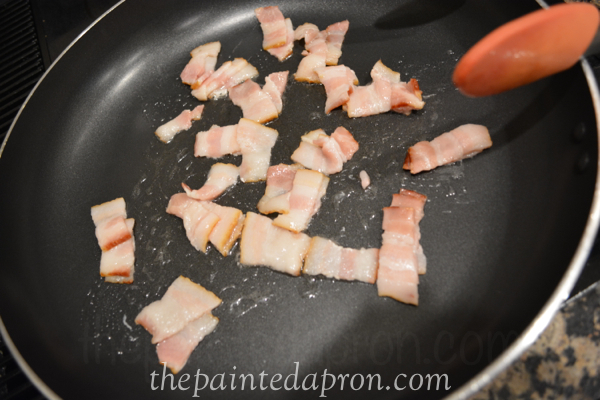 Cook bacon pieces until crisp. Remove bacon to paper towels. Discard all but 1 T bacon grease. Saute onion and peppers in reserved bacon grease until softened. 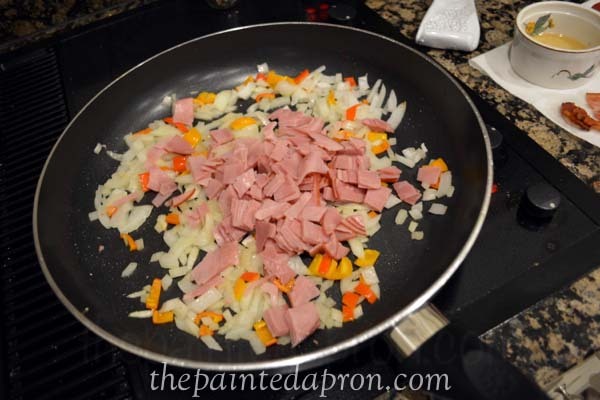 Add ham and cook and stir for several minutes. Top everything with fresh spinach and cover skillet. 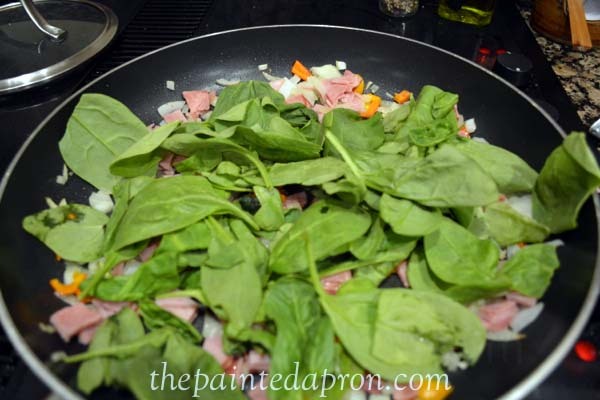 After several minutes remove cover and stir to break down and wilt spinach into the other ingredients. 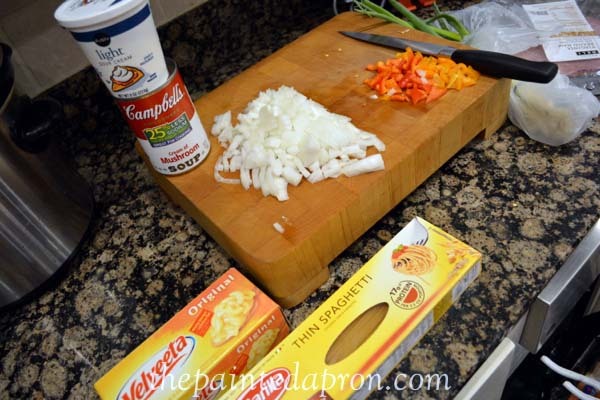 Add Velveeta, soup, and cream Cook and stir for several minutes to melt cheese. Season with salt and pepper. Add chicken to sauce mix. Add 1/2 of pasta. 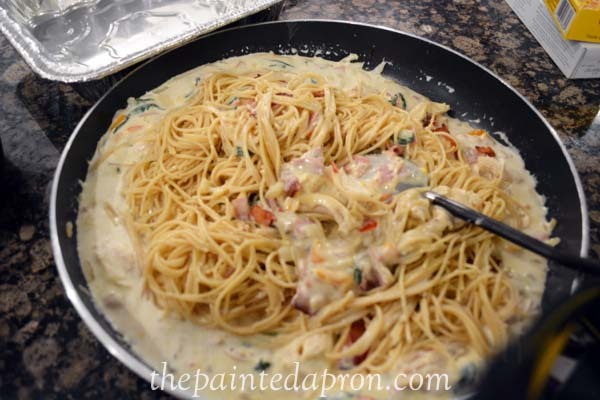 Add remaining pasta in increments, making sure the ratio of pasta to sauce remains very creamy. The cassoulet should be dense and very “wet.” Turn mixture into a deep 8 x 8 inch baking dish. 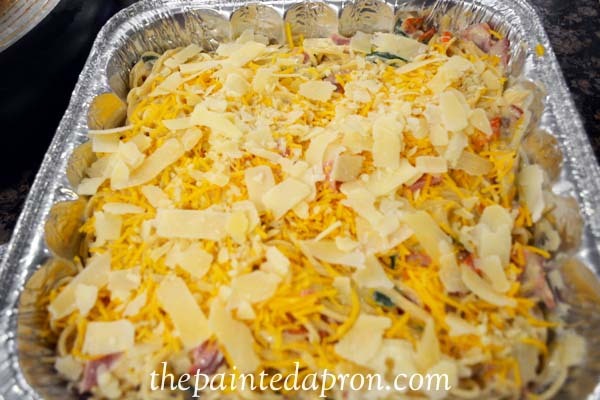 Top with grated Cheddar and Parmesan. 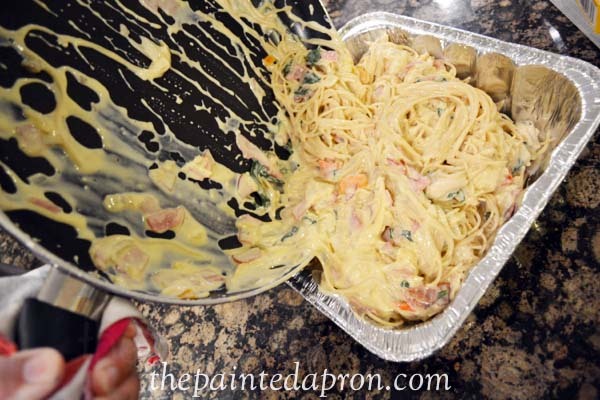 Cover and refrigerate for up to 36 hours. 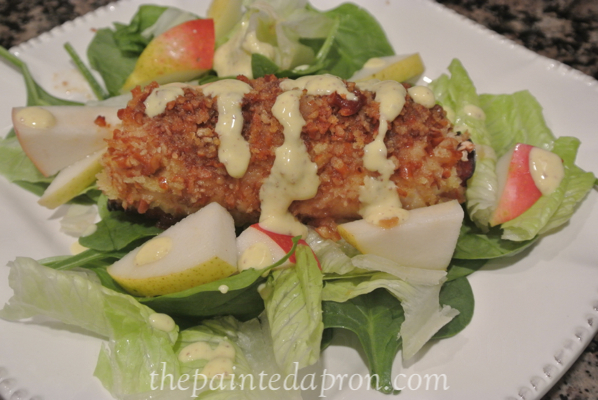 You might also want to check out another version of Chicken Cordon Bleu, Twisted Chicken Marco Polo. This version is wonderful served atop a salad! ← Recipe Box, Breakfast on a Stick! Any of your casseroles would be great on our boat trip. Heat and eat is my mantra on the water. I was wondering how you will eat on your trip! I would love to hear how you plan and organize food on a boat for 8 days! 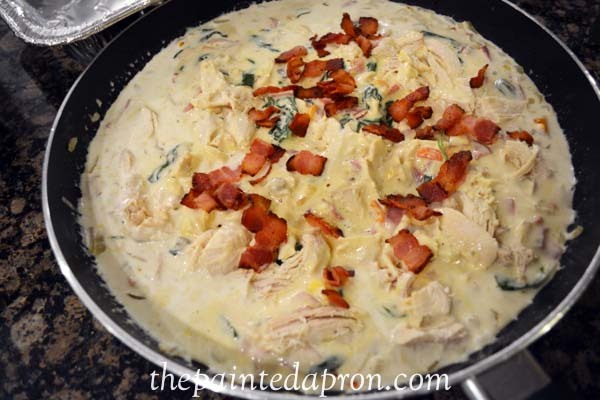 Such good recipes Jenna, thanks for sharing and making it look easy………. thanks Emily, it really is easy! 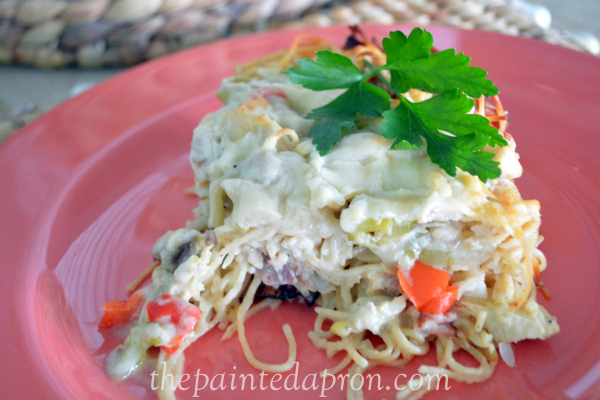 Your Chicken Gratin is a dish that we would enjoy over and over, it is sure going on my list to cook soon. 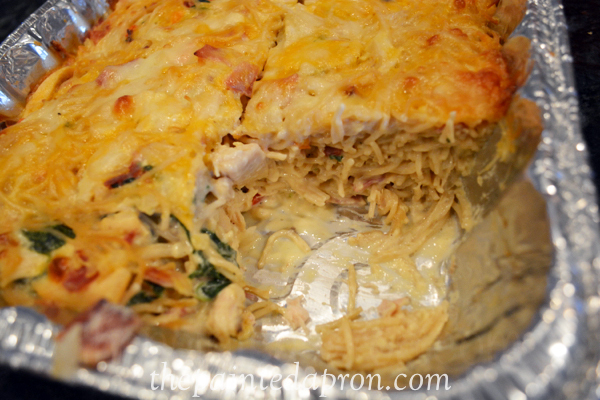 Thanks so much for sharing your awesome recipe with Full Plate Thursday this week. Have a great weekend and come back real soon! 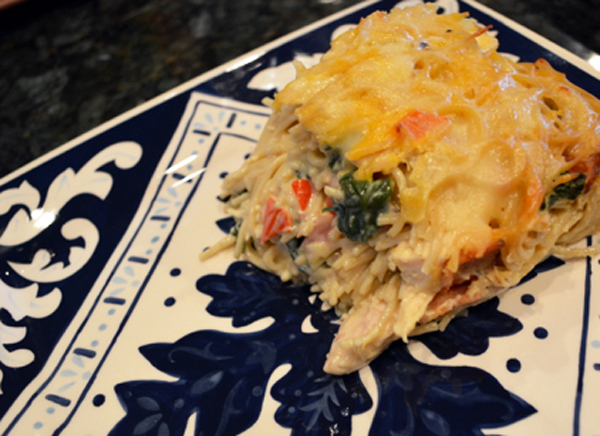 Oh my word, Jenna, this casserole sounds like such comfort food! 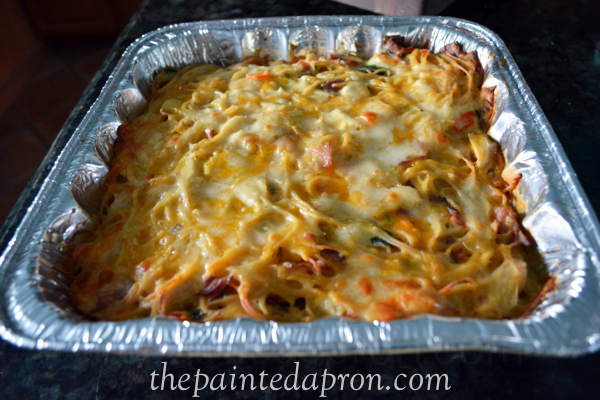 I’d love to make this when I need to feed a crowd. Thanks for all your kitchen inspiration.